Please note: As of May 2018, TTT Lines has been taken over by Grimaldi Lines. 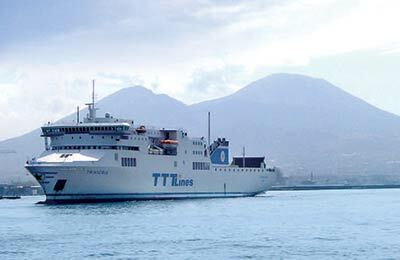 Ferries to Catania now sail from Salerno, and can be booked using the form above. 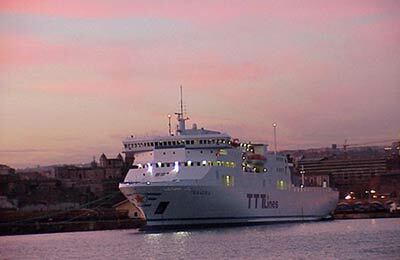 TTT Lines was a prestigious ferry company that operated two modern state of the art ferries. 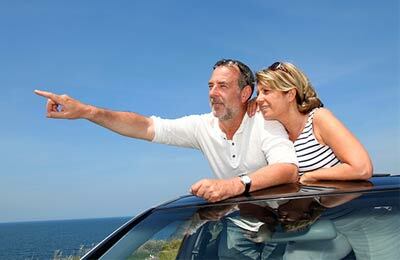 You can use AFerry to book ferries to Salerno and Catania in Sicily. See below for the latest prices and sailing times. Click on your ferry route for a detailed timetable. TTT Lines operated two newly constructed ships. The Trinacria and the Partenope. The ships came into operation in 2002 and can each carry up to 950 passengers. The ships are equipped both with escalators and lifts (elevators). 198 aeroplane style reclining seats. 78 cabins divided into internal and external cabins. Each with an en-suite bathroom and shower. Each cabin is comprised of two bottom bunk beds and two top folding bunk beds, a desk top, chair, closet and a mirror. Two cabins for disabled passengers. Dining room with self-service and à la carte restaurants. Living room with armchairs, comfortable sofas and coffee tables. Entertainment area with with slot machines, video games and a shop. Each ship had a load capacity of 2.040 meters in length for commercial vehicles in addition to the capacity of embarking 75 cars. If you book the Grimaldi Lines Salerno Catania ferry, whether from Catania or From Salerno, you are bound to have a relaxing and enjoyable journey. How long before departure should I arrive for TTT Lines? Check-in begins 2 hours before the scheduled departure time and the latest check-in time is 45 minutes prior to departure. Best ferry company. Ship is new and we'll maintained. I had enjoyed sleeping in and seeing nice view from my room where center of front on 4th floor.